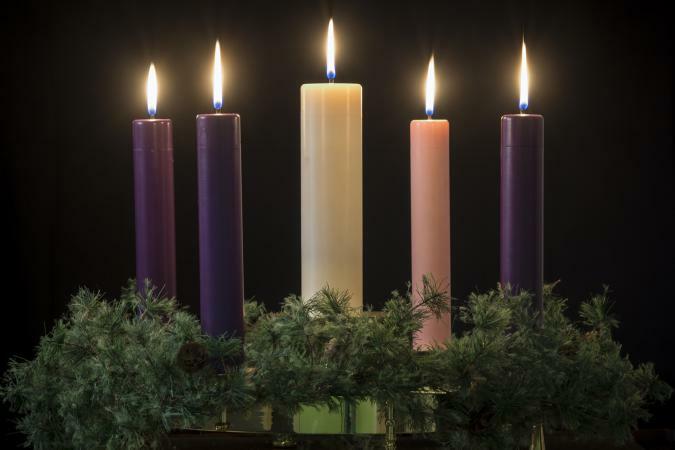 Advent is the time when we prepare for Christmas, but even more, it’s the time when we prepare for Christ. One of the things you’re likely to hear most often in our worship at St. David’s is that we are called, as Christians, to keep looking for Christ in the world around us. During Advent, we live into that calling in a different way, joining with our ancestors of the faith from those millennia ago: the people of Israel who would become the first Christians – even before there was a name for this band of followers of Jesus who came to believe that he was, indeed, the Messiah, sent from God. We hear it and say it again and again, year after year, but it’s important to remember that the Christ did not come as expected. The ancestors of our faith believed that the Messiah who had been promised and long-expected would come as a mighty king – one who would overthrow their oppressors and make them free. In hindsight, knowing the story as we do, it’s easy to miss how radical the truth that they discovered turned out to be. The Messiah was not a mighty warrior, but a vulnerable child. The Messiah was not a product of the best families and “good breeding”, but a child born out of wedlock – an embarrassment even. So let us not discount the miracle that would come – not just in the birth, but the miracle that happened in the people recognizing God’s own anointed leader, “God with us”, even though the form was unlike any that might have been imagined. The miracle wasn’t just in the person of Jesus, but in all the people of God who recognized him. When we look for Christ, it is entirely possible – even likely – that “packages” won’t look as we’d probably expect. In fact, if the character of God remains consistent, Christ is almost certain to not look like we’d expect. So don’t just look for Christ in church. Look under the rocks, and around the corners, and in the dark alleys, and at the homeless shelters, and even in the faces of the grumpy people waiting in lines at stores and frustrated in traffic. It has been promised: when we seek, we will find. My prayers this morning are centered on my homeland. 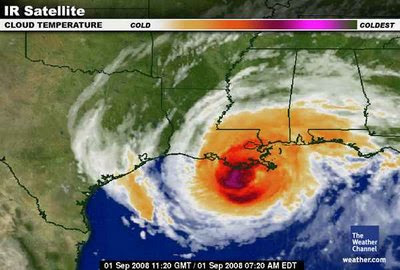 Louisiana braces once again for the landfall of a powerful hurricane - this time nearly three years to the day after the Hurricane Katrina debacle. I've been in hurricanes. To be honest, they can be kind of fun. If you're in a place where it is safe to not evacuate, you hunker down with your family and friends. After the power goes out you cook all the food in the freezer to try to keep it from spoiling. You sit up all night watching battery powered televisions and listening to battery powered radios to get the most up-to-date information possible. But it is decidedly more difficult to be sitting in New Jersey and watching it all unfold from afar. It is difficult to be consumed with worry as you see those places that are so familiar, and think about the people that you love who inhabit them, and to not know what's happening. But the gifts, in particular, were overwhelming. On one hand, it feels a little strange getting gifts on the occasion of an ordination - or it does to me, anyway. This is mostly because the ordination itself is such a gift. Being given the opportunity to be a priest is a gift. So to receive gifts on top of that seems almost too much. It's not that I'm not grateful - exactly the opposite, really. I'm so grateful that I have a difficult time forming the words. I received many gifts from so many people who have been a part of my life. Some for a few years, some for longer than I can remember. Each of the givers had given me so much over the years, and here they are - giving gifts again. Three of those gifts in particular deserve some additional reflection. On Twitter we have 140 characters to describe ourselves to the world. Here's how I describe myself to anyone who stumbles across my profile: "An Episcopal priest in search of the Body of Christ and a theater junkie in search of his next fix." While that may seem like a trivial way to interact with the world - in 140 character snippets - I think my description really captures more than 140 characters' worth of who I am, and (perhaps more importantly) who I am discovering myself to be. It is both dominant sides of me: work and play. And as is true of the nature of my work, work and play have a way of intermingling. My love of the theater certainly informs my preaching - sometimes explicitly, but always in subtle ways. At the same time, my perspective as a priest shapes how I see the theater.